AgVantage Commodities attended the PenAgCon Winter Crop Tour yesterday – Tuesday 18th September. We travelled by bus out to Rowena and Cryon (135km north west of Narrabri) where we looked at some wheat trials to see how growers might be able to manipulate protein by adding nitrogen to their crops at varying stages of growth and with varying applications of granular and liquid nitrogen. The researchers hope to have some results after harvest this year, but it was clear that more research was required to reach any meaningful conclusion. Adding nitrogen to the crop not only assists with increasing yields, but also to add protein to the grain. The challenge is being able to apply the nitrogen at opportune times that also allows the uptake of the nitrogen by the plant, or at least retaining the nitrogen in the soil for use for the next crop. Due to the yields received across the North West in the last three seasons, and some major ‘soil leaching’ flood events, the consensus of the field day was that protein in Northern NSW will be down on average, even with a dry finish. If we were to receive a good rain event (say 12mm+) growers could apply nitrogen with more confidence that the rain would allow the nitrogen to work into the soil and then be taken up by the plant to assist with yield potential and adding protein to the grain. Without a reasonable rain event, protein is forecast to be lower, albeit with higher screenings which may then lift some protein levels. We are expecting increases to ASW1 – <10% protein, APW1 – min.10.5% protein, and H2 – min. 11.5% protein grades this harvest in Northern NSW. Crops out west around Rowena and Cryon look very good, but will require rain in the next fortnight to realise their current yield potential – this is the situation for the entire North West of NSW. Without at least 20mm of rain in the next week to 10 days (depending on temperatures), crops in northern NSW will begin to lose yield potential. As you move north to the border and in southern QLD, yield declines have already commenced. 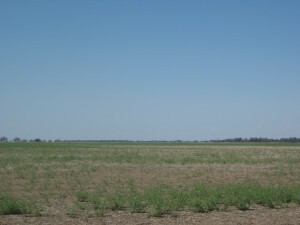 The Liverpool Plains has also a lot of late planted winter crop which is not as desperate for rain, but will require the ideal finish to reach any potential of an average crop. In Northern NSW, Canola will begin to be wind rowed by the end of September with harvest beginning around mid-October. Faba beans will be a similar story, closely followed by barley, and wheat harvest looking like early to mid-November. AgVantage Commodities would like to thank Drew Penberthy from PenAgCon, Amps Research and the Northern Grower Alliance for putting on the day. (Reuters) – Anthony Tancredi, president of Allenberg Cotton, has left the world’s largest cotton merchant after 27 years, an unexpected departure that traders said indicated last year’s market turmoil is still reverberating through the industry. Tancredi, who was second in command to Allenberg Chief Executive Joe Nicosia and responsible for global merchandising, left about a week ago, according to two sources who have spoken to senior company employees. Allenberg is owned by Louis Dreyfus Corp LOUDR.UL, one of the world’s largest agricultural merchants. It is also a critical time for Allenberg and Nicosia as they prepare to face a lawsuit leveled by former Glencore (GLEN.L) trader Mark Allen, who is accusing Dreyfus, Allenberg and its chief executive of manipulating Intercontinental Exchange cotton futures prices last July. Few merchants have emerged unscathed. Noble Group (NOBG.SI) blamed its first loss in more than a decade last November partly on cotton defaults. Olam (OLAM.SI), based in Singapore, reported a 14 percent fall in fourth-quarter net profit last month, which analysts attributed mainly to ructions in the cotton market. In August, Cliff White left his job running the North American cotton operations of commodities merchant Olam, which expanded into cotton through acquisition and is ranked behind the big three – Allenberg, Cargill CARG.UL and Noble. He joined Texas-based merchant Omnicotton as vice president to drive its expansion into Australia. The Upper Namoi Cotton Grower’s Association’s AGM and Charity Golf Day was held at the Boggabri Golf Club yesterday, amid the fiece winds and icy afternoon temps. Chris & myself (Erin) attended and there were approx 30 people in attendance although not everyone stayed around to play golf. The afternoon started with lunch, followed by the AGM where office-bearers were elected for the next 12 months along with some other general discussions taking place. After the AGM was declared closed, the golfing got underway. I felt sorry for those that ended-up in my team, as this was only my 2nd attempt at golf but I had a good excuse for my poor golfing skills with the gusty winds. All I can say is I was thankful it was a 3-4 person ambrose event as my teammates carried me through the afternoon… Wind aside it was still an enjoyable afternoon and although there was a clear winner on the day, there were 5 teams that came equal second, mine included. After an early start yesterday, I spent the day visiting growers from Walgett, Burren Junction and Wee Waa. 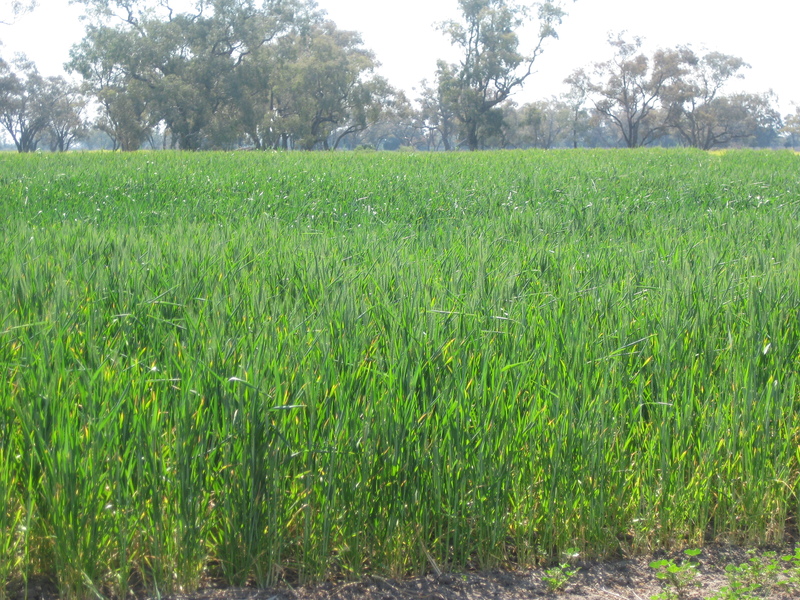 Of the crops I saw around Walgett/Cryon they are, for now, in pretty good nick and are standing tall, don’t appear stressed at the moment although would like a drop or two of rain in the coming weeks to reach their full yield potential. These crops still have good subsoil moisture. Canola crops out west are standing tall, are generally very uniform are thick and are flowering. Some chickpea crops are flowering while others are still quite small and after a wet start are only just starting to kick into gear. 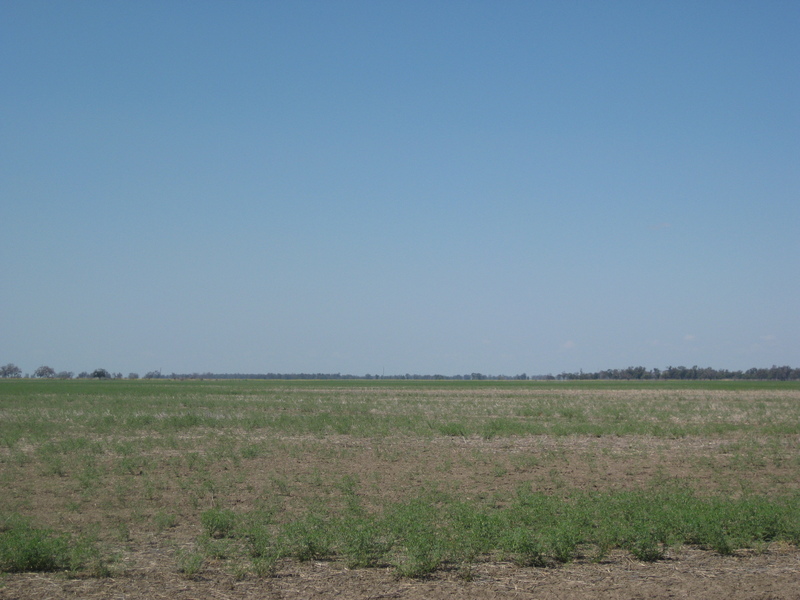 I saw chickpea crops around Burren and Wee Waa that suffered extensive water damage back in July and are extremely patchy – I would expect 20% or more losses to these areas. The wheat crops are mixed with the earlier planted crop well-advanced, quite tall and starting to push out a head, while some of the later planted crops are visibly struggling at the moment and will need rain sooner rather than later. Over the coming weeks I will be ‘out and about’ on a regular basis meeting growers and posting similar updates on my visits. The fibre to fabric course run by the CSIRO in Geelong was held 4th – 6th September. The course provides participants with a greater understanding of the whole cotton supply chain – from “Field to Fabric”. The course has helped to widen my understanding, both during the growing stage, and the processing stage. Representative from all parts of the cotton industry took part in the course, and I believe the course would be beneficial to anyone involved in the cotton industry. The course is held yearly around August/September – so I would encourage anyone interested in participating to keep an eye out for information on the next course.